Home / Posts Tagged "Imam Hasan"
Question 024: Did Imam Hasan and Hussain teach an old man how to make wudu? Did they artificially dispute with each other in order to teach the old man how to make wudu? One day an old man came to Medina. At the time of prayers he began to make wudu, but he was making his wudu incorrectly. 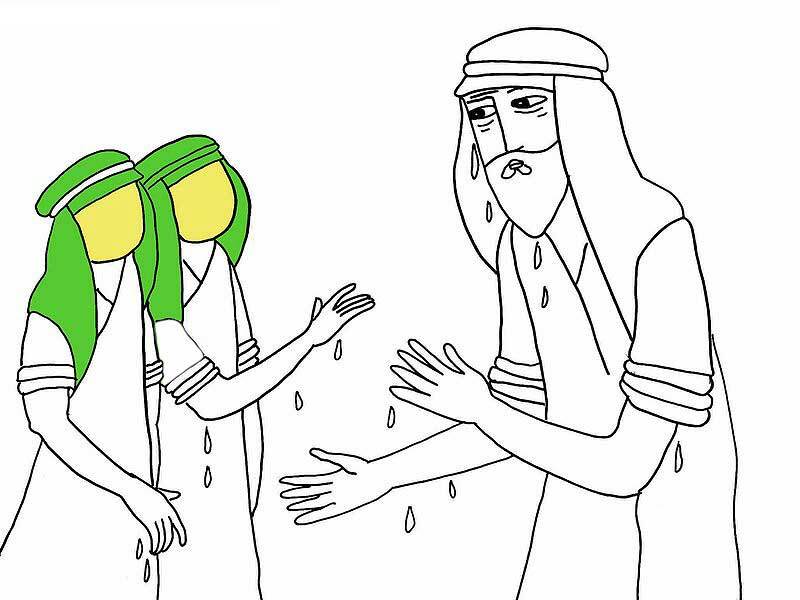 Imam Hasan and Imam Hussain (pbuth) immediately realized that the old man was not doing his wudu correctly. They wanted to correct him, but hesitated to tell him directly. Perhaps the old man would feel humiliated by two young boys correcting him, or he might even lose interest in the act of worship. Imam Hasan and Imam Hussain (pbuth) came up with a plan. They went to the old man and said, “My brother and I disagree over who amongst us performs wudu the best. Would you mind watching us make wudu and be the judge to see which one of us indeed performs wudu correctly? Could you please correct us wherever we are wrong?” The man watched carefully trying to judge who is better. Imam Hasan and Imam Hussain (pbuth) neither criticized the old man, nor reproached him for his ignorance of the ruling of Islam. They did not refer to his way of performing wudu as wrong, nor did they call his action void. Rather, they performed wudu themselves and taught the old man its correct way indirectly. The result of this polite and wise criticism was that the old man confessed to his mistake explicitly, learned how to perform wudu correctly, and thanked them with kindness and pleasure.
 . Ibn Shahrashub, Mazandarani, Manaqeb Al –e- Abi-Taleb (a.s), Vol. 3, Pg. 400, Qom, Allamah publication, first edition, 1379 AH; Majlesi, Muhammad Baqer, Biharul Anwar, Vol. 43, Pg. 319, Beirut, Dar –e- Ehya al-Torath al-Arabi, second edition, 1403 AH.